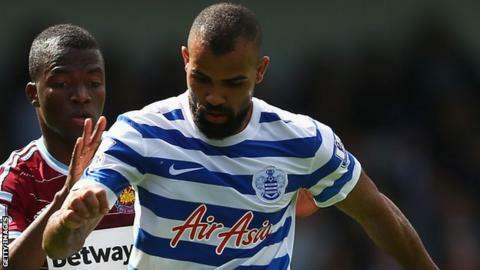 West Brom have signed QPR midfielder Sandro on loan until the end of the season, with the option to sign him on a permanent deal in the summer. The 26-year-old Brazilian, who moved to England in 2010 when he joined Spurs, has played 11 times for QPR so far this season. His last appearance came in a 1-1 draw with Huddersfield on 28 December. Baggies manager Tony Pulis wanted cover because of injuries to James Morrison and Callum McManaman. "I spoke to the manager and was impressed," Sandro told the West Brom website. "This is a big club and I feel happy to be here and very happy to be back in the Premier League. "I believe I have a lot to offer. I'm looking forward to being part of this family. "As a player I play with my heart, I give all I can on the pitch - all the time I want to win the ball and play the ball. I hope the fans will see the best of me during my time."